Speaking to Comicbookresources on august first Marvel movies boss, Kevin Feige talked about their movie plans, specifically how they've not got any plans to create female led movie projects in the near future. His reasoning made sense, but it was still just excuses. Don't get me wrong. I understand, there are some very legitimate reasons, but I still think there's room for another franchise, after all Ironman has run it's course (by that I mean it's pretty awful at this point) and nobody REALLY likes the thor films. we could easily put those aside for a few years (as Feige said would be a necessity) and make space for some good female leads. And since we're talking about it I thought I'd make my Three suggestions. While usually I would go into things like the different time lines and worlds, ultimate marvel being my favorite, but for the most part people like to focus on standard continuity. Earth-616. Brunnhilde was an obvious choice for me. Brunnhilde comes straight out of the Thor side of the Marvel universe, appointed by Odin to lead the Valkyrior. For those not versed in Norse Mythology the Valkyrior were the female angels who selected fallen warriors who had accomplished great deeds, performed heroic acts or simply impressed them to go with them to Asgard to train in war all day then drink and feast all night until Ragnarok, the end of time. Brunnhilde would make a great movie, in part because Thor's setting and back story have already been established so this would slip right in there, but mostly because she's just a cool character. Interesting, strong, she has a rich back story that even the comic book fans are still getting to know. A lot of people consider her to be just a female Thor, but she's really not. She doesn't have any of the same motivations, nor the same characterizations. With the right actress, the right level of sarcasm in her writing she could be great. There are many possibilities for a film about Brunnhilde, but the one I like most is the idea of Souls going missing when she tries to bring them to the after life. The story I keep coming to would be one where she is watching a hero, a particular person that she likes for Asgard, and in her day to day acts she discovers that souls are being stolen. It's at this point that she discovers that the man she wants for Asgard is going to be killed soon so she must find out where the souls are going and stop the bad guy before he dies. That or make sure he doesn't die, in which case she wouldn't bring him to Asgard, at least not yet. Now I know that X-23 is an impossible choice, in part because the franchise that she is from (X-men) is still owned by another company, Fox. I also realise that she's from a franchise that is primarily about group movies, but she's still well worth mentioning. 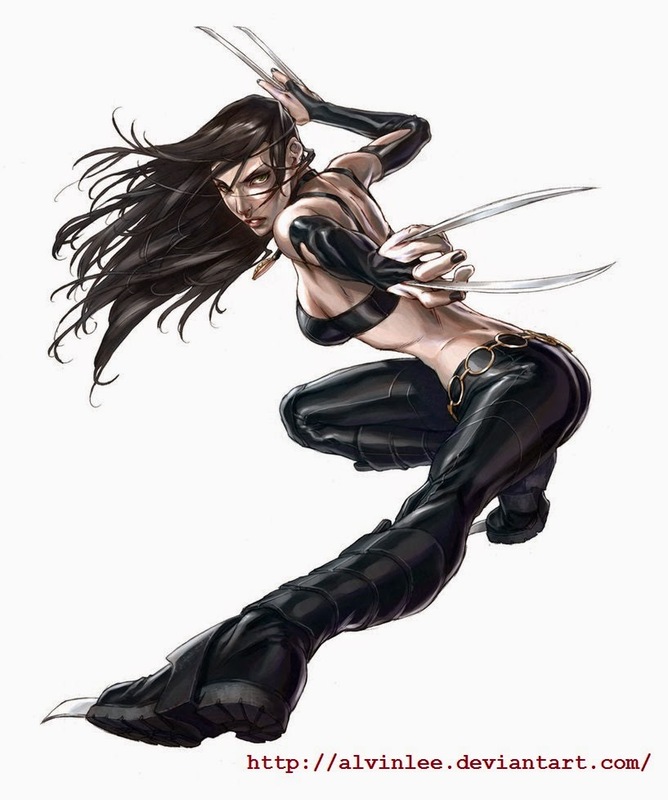 Laura Kinney or X-23 as she is known to many is the successful clone of the original Weapon X, the Wolverine. Which would imply that she's just a cheap female knock off of Wolverine, but like Brunnhilde; she is not. Another thing people might be concerned by is her time amongst the New X-men. She did spend a lot of time amongst the X-men, but arguably she's spent significantly longer on her own, learning about her self, about her progenitor and about who she could be. This hero has the potential to be the next Spider-man with a hint of Hitgirl thrown in. That isn't to say that she's just a female Spider-man, she is far from it. My point was more that she's relatable. or could be. The outcast. The girl who is just learning to find herself. There have been so many shows and films where a character with a special ability wants to keep out of trouble and just blend into the background but gets pulled out of 'retirement' to take care of something that they can't ignore - from Buffy the Vampire slayer to the new Constantine - that I can't imagine it would be hard to come up with a story here. Laurie has escaped from Weapon X and has re-located to small town america. She starts school - because of course she does - and tries to remain hidden, but something happens. A field trip accident, a gym prank gone awry, a lab experiment and she's exposed. News gets back to Weapon X and they come for her, uncaring of the lives of the people in town. Laura has to decide whether to escape and live or protect the people who treated her differently... but who also became her friend. It's an old story, but one I would love to see with X-23 at the helm. Lets be honest, this was the most obvious one, no? This one was always going to be in this list, we already have an actress, a set up, a basis for what to do and where to go from here. There are a thousand things we could do with the character that Scarlett Johansson portrays surprisingly well in Ironman 2, Avengers and Captain America, Winter Soldier. I hadn't been a big fan of Johansson before her foray into the world of Marvel. Nothign against her, of course, she simply hadn't done any work in genres I have any particular attachment to (That I'm aware of). 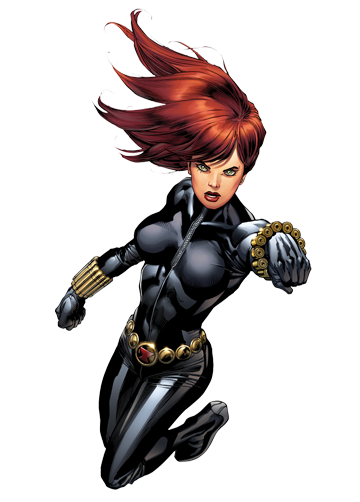 But her portrayal of the Russian mob hitter turned secret super agent with a dark and sordid past was great, and with the end of the winter soldier movie (spoilers) destruction of Shield, the realisation that Hydra had infiltrated every level of the Worlds government there are surely hundreds of spy stories to get us involved in, because as Winter Soldier showed us; not every super hero movie has to be about a big monster tearing up the city or the super villain blowing up the world; it can be a spy thriller or a comedy or a horror story or a sci-fi or an adventure. Can you just imagine Natasha taking to the streets of Russia once more to go after one of her old contacts who has information about Hydra, only to get caught up in a plot to make war with the USA, or discovers that the russian mob have gotten hold of an asgardian artifact that could open the world to some alien race bent on their destruction. I personally think it'd be great. Now these are not in any particular order, nor are they by any means the only heroines in Marvel who deserve a look. Ms. Marvel, Jessica Drew, Julia Carpenter, Wanda Maximoff, Kitty Pryde (who I love btw, but she is very much a grouper), Martha Franklin, and a whole host of others from all walks of the Marvel universe, not to mention the other verses.